We have friends in Paris who we think take their beautiful city for granted, like being there long enough to somehow feel nothing when seeing the Eiffel Tower. It’s only when they’re away from Paris do they realise how good they’ve always had living there. Similarly, for our guests in our #ConceptStudio, they’re now living it up in Melbourne, one of the world’s most liveable city, staying in a cosy studio apartment in the CBD on Flinders Street. What are they taking for granted as their daily life? What will they miss when they leave? Here’s a very quick snapshot. #1 – The closest thing to a piazza in Melbourne – We know from experience that our #ConceptStudio appeals to Europeans who are in Melbourne on a working visa. We’ve seen many of them working in the cafes on Degraves Street and making their way into our building after a long day’s work. For them, it must be comforting having Federation Square so close. 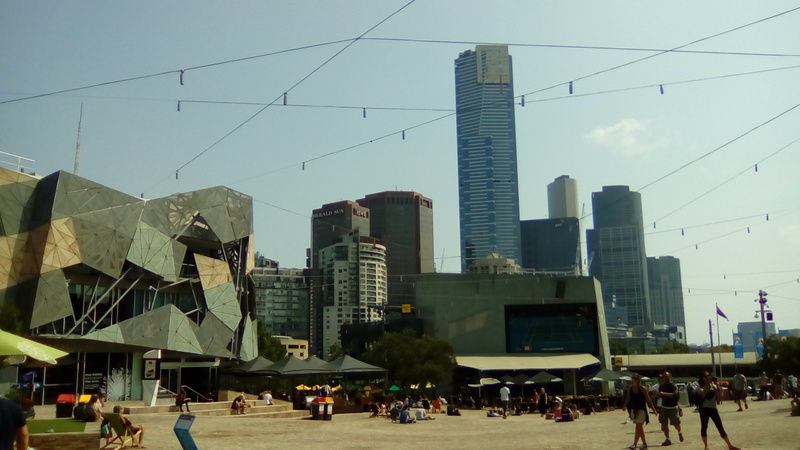 As much as the tiny lanes and alleys of Melbourne CBD are edgy and quirky, there isn’t much of a large open space respite nearby like those they’re used to in Europe except for Federation Square. #2 The quiet grandeur of Flinders Street Station at night – Many of Melbourne’s architectural icons take on a different character at night. 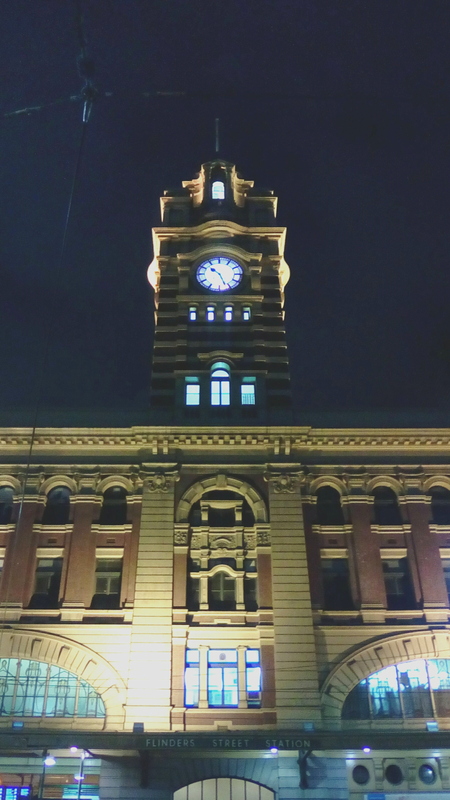 Living in our #ConceptStudio just right across Flinders Street Station, you’ll get used to the massive structure accompanying you on your late night walk to Coles Supermarket on Elizabeth Street to pick up some last minute necessities. How many people can claim to walk by an architectural icon (on the same level as the Eiffel Tower or the Colosseum) on their usual way to the local supermarket? #3 – Degraves Street in the day and night – Degraves Street is THE biggest draw for anyone living in our #ConceptStudio. The cafes, restaurants, the people watching, you literally feel the pulse of Melbourne CBD under your feet with every step you pound on the pavement. Come nighttime, it’s gone all cosy and dark, romantic even. Watch the cafes pack up, close up shop after a hard day’s slog, there’s something very humbling seeing a city shut its eyes. Living at our #ConceptStudio, you can do that and then turn a corner, you’re home. #4 A hip subway coffee kiosk at (below) your doorstep – Cup of Truth is the kind of establishment that can only be described as iconic and one of a kind. 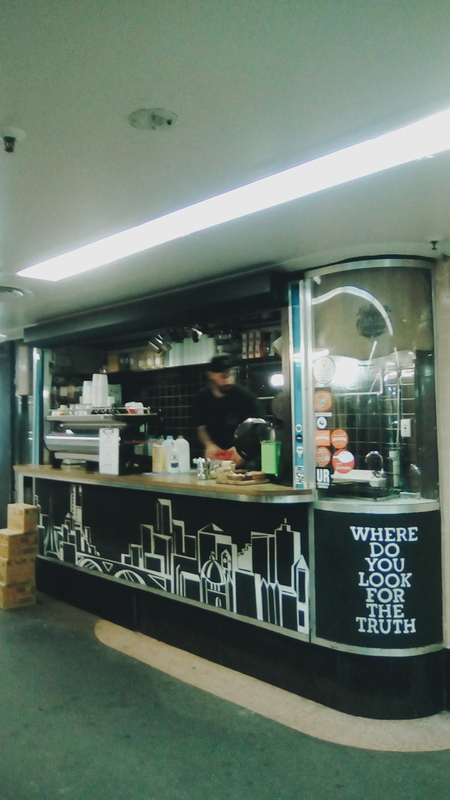 Really just a hole in a wall, located in the Degraves Street underpass connected to Flinders Street Station, commuters thank owner Courtney for providing takeaway coffee that lives up to Melbourne’s reputation as a coffee destination, and providing the sustenance to help them make it through the work day. And as our #ConceptStudio is located 9 floors above, our guests can saunter down, say “hi” to Courtney and his team, grab a cuppa and in a few steps, go right back into the comfort of our #ConceptStudio. Convenience doesn’t begin to describe the ease. 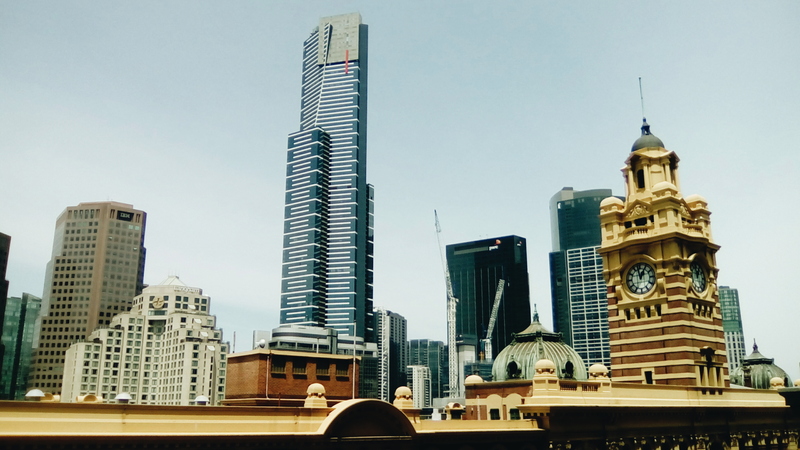 #5 Seeing the old and new of Melbourne in one terrace view – Melbourne’s skyline has changed dramatically over the past few years with the construction of skyscrapers springing up. Thankfully, the view from our #ConceptStudio communal terrace on the 7th floor isn’t cluttered by that many skyscrapers, ruining your view. What about Eureka Tower? We think we can forgive one skyscraper.